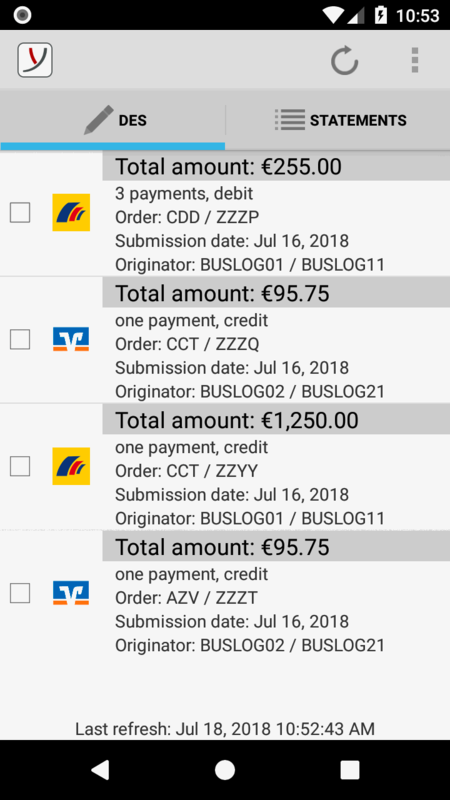 Like the app for iOS the Android™-Version now supports retrieving and displaying account statements, as well as showing accompanying tickets. 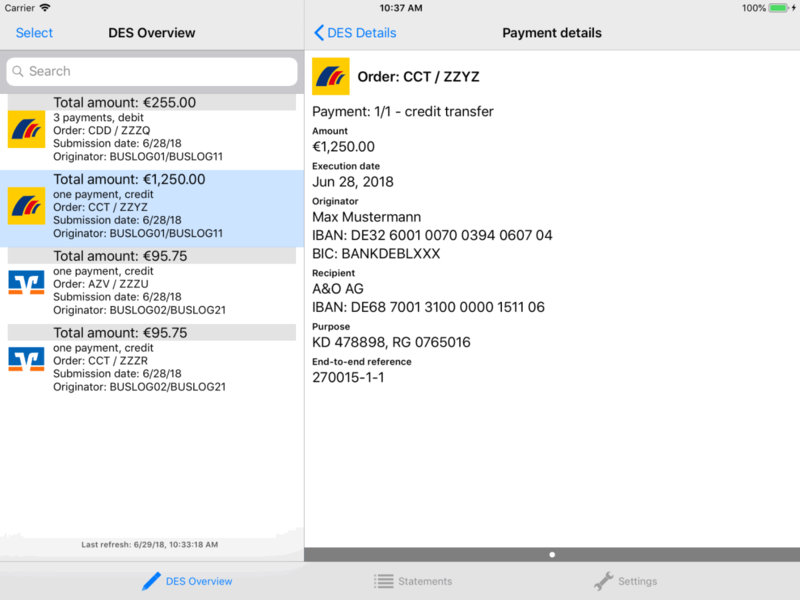 Another new feature is the multi-bank capability. Furthermore, in the overview of distributed signatures multiple payments can be signed or cancelled at a time. The synchronization of the data with an existing desktop version of BL Banking or BL Banking VEU now not only uses TLS (Transport Layer Security), but additionally a strong encryption through the application itself. 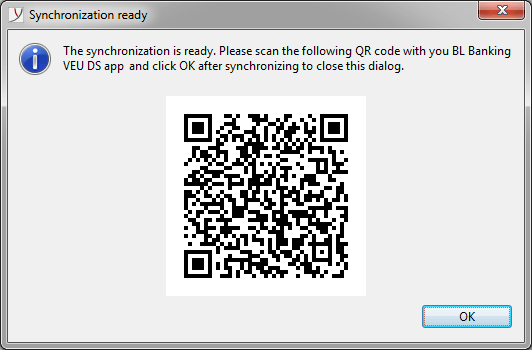 The key for data synchronization can be transferred from the desktop version conveniently via QR code. 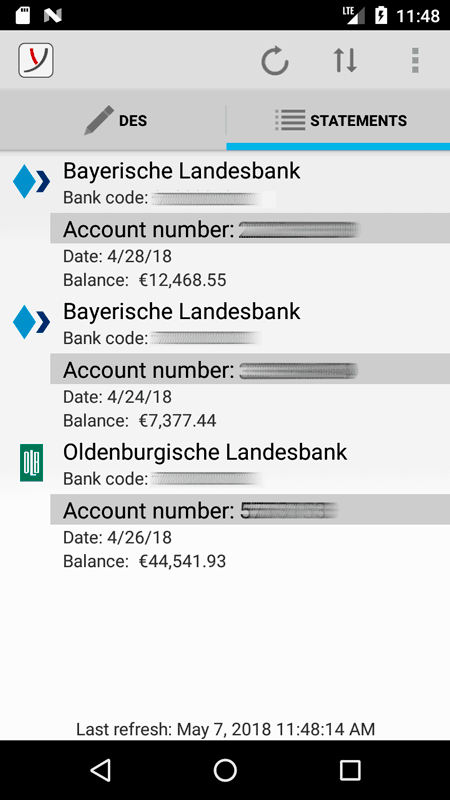 The current version is free for users of the programs BL Banking and BL Banking VEU and can be obtained via Google Play™, or from the Amazon App Store. The app is available in German and English.